Most Awaited Bollywood (Hindi) Movies of 2016. Year 2015 had been a disappointing to average year at box office. Around 200 films released this year of which only 20 films can boast of being plus at box office. Success ratio is very low but that has been the case for Bollywood Movies in recent years. Although out of 200 films only 50-60 are significant ones and rest can be touted as washout from first show itself. Now coming to 2016 it will be significant year as all leading stars have atleast one film to release this year. Definitely it will be clash of titans. Salman Khan enjoyed the Highest Grosser of 2015 with Bajrangi Bhaijaan. Can he again enjoy that status or Aamir Khan, Shah Rukh Khan, Hrithik Roshan or others have a different idea. We will get to know by the end of the year. So, here is our 35 movies which is set to release before the end of the year and whose buzz is good to excellent. Predicting box office figures is highly difficult as most of those first look is hardly seen. Still we have given a trade estimation. There is no doubt that out of those few biggies will falter badly and there will be few surprise Hits from nowhere. Who knows that film may not be in the list at all. 35. Neerja. Film is based on real life of Neerja Bhanot. First look and theatrical promos look interesting and film should do decent at box office. 34. Saala Khadoos. Film theatrical promo is liked and should do well at box office. BO Prediction - 30-40 crore nett. 33. Wazir. Film is already released and doing well. Talented star cast and good content should take it further. BO Prediction - 40-50 crore nett. 32. Jai Gangaajal. Priyanka Chopra is back to full form. Film promo is liked and Gangaajal franchise should help it. 31. Ghayal Once Again. Sunny 'Paaji' is back to full form. Definitely Ghayal Once Again is one of the film to look for. 30. Ki and Ka. Film interesting pairing is the talk of the town. Plus there is talented R. Balki as director of the film. 29. Fitoor. Film interesting and unusual pairing to look for. 28. Baar Baar Dekho. Again an interesting pairing of the year. Plus, backing of big production house. Film should do well at box office. 27. Udta Punjab. Ideally we would have liked to keep the film much above in the list considering star value. But Shahid Kapoor star quotient is all time low and hope he bounches back with it. 26. Mastizaade. This adult comedy should rock box office. Promos are simply hilarious. 25. Rocky Handsome. First Look is released and it is creating ripples in social media. 24. Raaz Rebooted. Bhatt film anything more to say. BO Prediction - 50-60 crore nett. 23. Azhar. Biopic on Cricket Legend Azharuddin. Should do well at box office. 22. Kapoor & Sons. Great star cast. Big production backing. Should do well at box office. 21. Kyaa Kool Hain Hum 3. Definitely one of the adult comedy of the year. Great franchise. Super Hit offering. 20. M.S. Dhoni - The Untold Biopic. Biopic on Cricket Legend M S Dhoni. Talented Director in Neeraj Pandey. Should do well at box office. 19. Baaghi. Talented fresh casting. Sajid Nadiadwala backing. Every flavour of typical masala entertainer. BO Prediction - 60-70 crore nett. 18. Mirzya. This film can go either way. Super Launch of Anil Kapoor son. Big director backing. Huge promotion on cards. May be a big Surprise Hit of the year. BO Prediction - 50-80 crore nett. 17. Rock On 2. Good franchise and talented star cast. BO Prediction - 75 crore nett. 16. Dinesh Vijan's Next. Fresh Star cast. Romance genre. BO Prediction - 75-80 crore nett. 15. Half Girlfriend. Book is well received. Good star cast, Hit director in Mohit Suri. BO Prediction - 80-90 crore nett. 14. A Flying Jatt. Super Hero genre. Huge production backing. 13. Airlift. Theatrical promos are well received. Akshay Kumar in full form. Chances of touching 100 crores. BO Prediction - 80-100 crore nett. 12. Rustom. Akshay Kumar and Neeraj Pandey combination. Although Neeraj Pandey as producer this time. Another film has chances of touching 100 crores. BO Prediction - 85-100 crore nett. 11. Dishoom. Another typical Bollywood Masala Entertainer. Varun Dhawan set to enter big league in 2016. BO Prediction - 100 crore nett. Now Top 10 Films of the year starts. 10. Great Grand Masti. Grand Masti was a big success. Now it has become a big franchise of sort. Definitely the biggest adult entertainer of the year. Good chances of touching 100 crores. BO Prediction - 100-110 crore nett. 9. 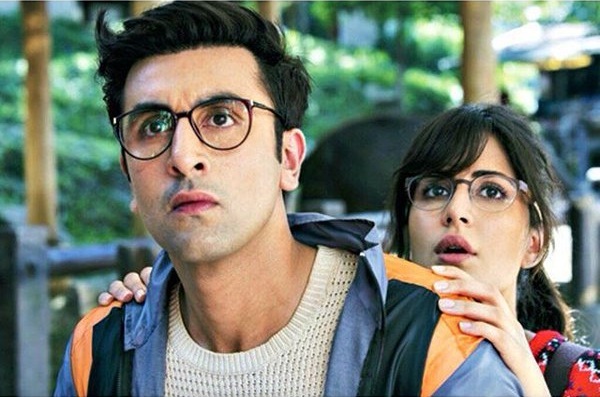 Jagga Jasoos. Another biggie of Ranbir Kapoor. Crucial film of his career. Film can go either way. Either may be a big dud or a big Hit. Big investment are also riding on the film. BO Prediction - 125 crore nett. 8. Housefull 3. Housefull franchise never gone wrong. So, history should repeat again with 3rd Installment. How much a big Hit film will become only time will tell. If it doesn't touch 100 crores will be a big surprise. BO Prediction - 125-140 crore nett. 7. Fan. Shah Rukh Khan starrer film. Anything more to say. Plus, there is backing of biggest production house in Yash Raj Films. Genre is the only issue. BO Prediction - 125-150 crore nett. 6. Ae Dil Hai Mushkil. Big Diwali release. Big star cast. 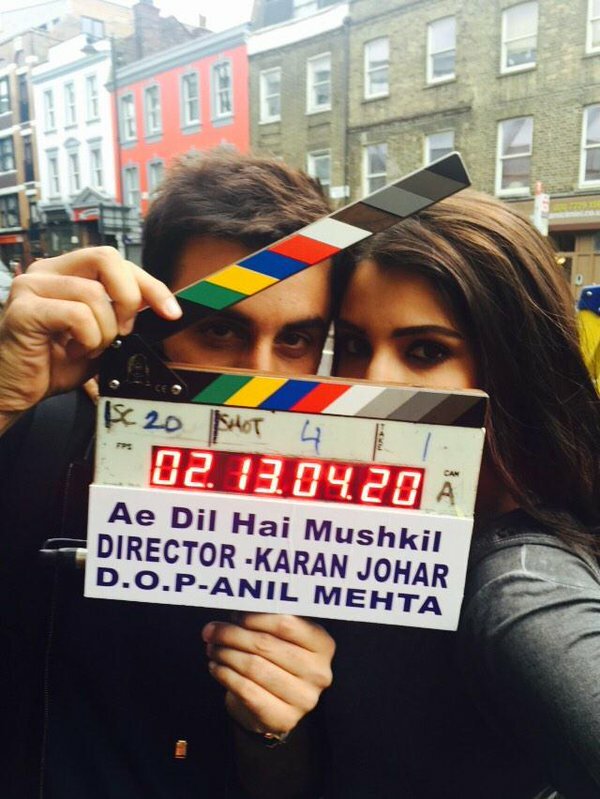 Karan Johar finally back as director. 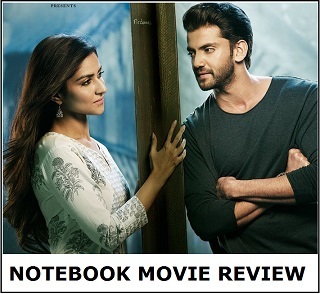 Film looks a Super Hit before the release. BO Prediction - 150-175 crore nett. 5. 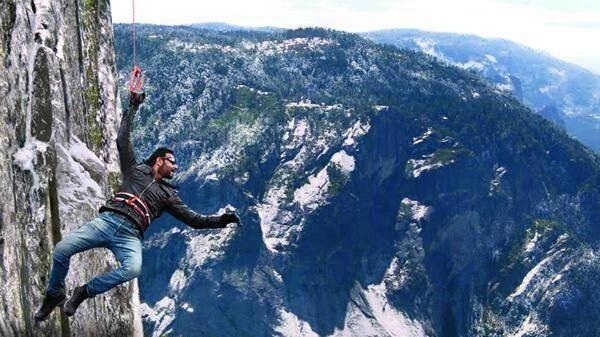 Shivaay. Ajay Devgn film makes top 5 entry in 2016 and there is reason for it. This is the biggest film of Ajay Devgn career so far. He is not only acting in it, but also directing and producing it. 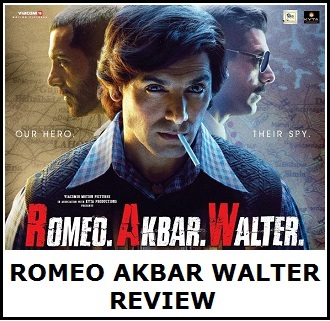 One of the biggest budgeted film of the year and every potential of a big grosser. 4. 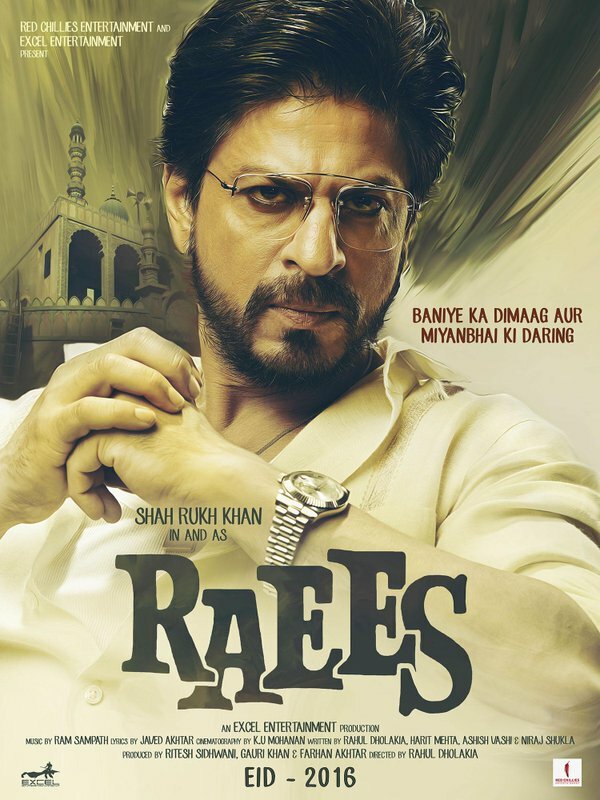 Raees. Shah Rukh Khan starrer Raees is one of the film of the year. It will definitely challenge for highest grosser of the year spot. Fierce competition start with this film. With festive season release and if content is liked film will simply be unstoppable at box office. BO Prediction - 175-200 crore nett. 3. Mohenjo Daro. Many in trade saying this as film of the year. Hrithik Roshan is back with Mohenjo Daro. Great director in Ashutosh Gowariker, Huge sets are build. Historical backdrop. Sky is the limit for the film. Definitely will give run for highest grosser of the year 2016. BO Prediction - 200-225 crore nett. 2. 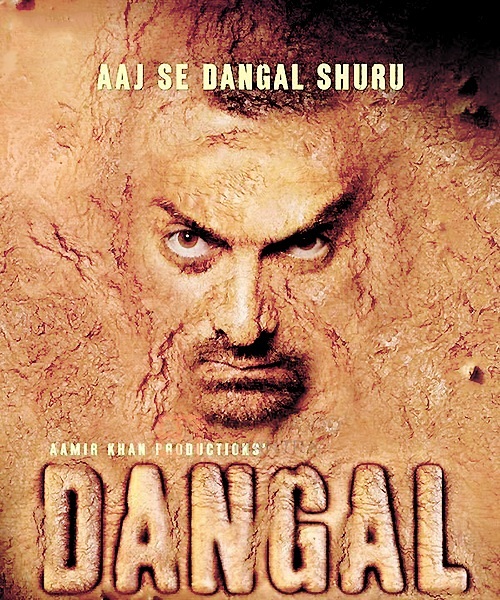 Dangal. Any film that stars Aamir Khan becomes an Event. Aamir Khan had no release in 2015 and hence everyone is looking to this film. Festive release and biopic on sporting legend Mahavir Singh Phogat. Film has every ingredient to be the film of the year. Definitely highest grosser is also on cards. No doubt on that. BO Prediction - 225-250 crore nett. 1. Sultan. Salman Khan in and as 'Sultan'. Anything more to be said. Yash Raj Films backing and biggest film of the year. Last time YRF and Salman came together they delivered Ek Tha Tiger and rest is history. Film is based on wrestling but embedded with full masala ingredients. Definitely a top shot for Highest grosser of the year. BO Prediction - 250 crore nett. Note - Few films for e.g., Rangoon release date is not finalised. So, not included in the list. Ayan Mukerji's next shooting will start from mid of 2016 and its very unlikely that film will ready to be released before the end of the year. So, it is also not included in the list. 2nd Richaest actor of world....where is yr fav bhojpuri old man? Everyone is underestimating Raess. a perfect masala entertainer and after a long time SRK is doing a Don like role. Its eid time and no doubt it will cross 200Cr. Only issue is clash with Sultan. Hope that won't happen and still anyway both films will get above 200Cr. I think fan will do well, Raees and Sultan makers should change their date otherwise loss for both which happened on this Christmas. If solo realese both films will surely cross 250 crores. If sultan is competing against raees and dangal is a solo release how can sultan beat dangal? in case dangal is competing with bahubali 2 why bahubali is not in the list? 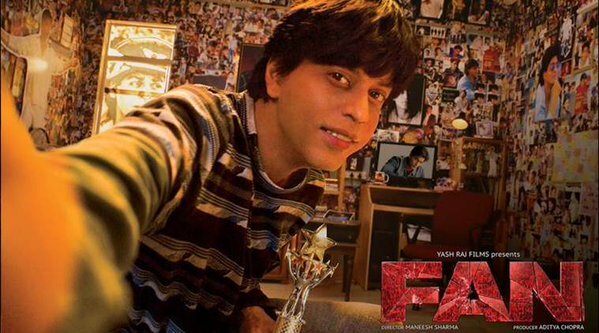 Hello Dear Ankur Your prediction is correct but one thing is change my way Fan movie Crosses 200 Crores because SRK Best Acting in this movie so my prediction in this movie Fan minimum 210 Crores in India Because SRK Hearttouching acting in this movie so this is my prediction.